In May of 2017, the Irish Government issued a call for applications for new Apprenticeship programmes, with special request for industries with no clear entry point. The Freight, Logistics, Shipping and Distribution industries are all interlinked yet their vital operational work in background goes largely unnoticed. As a consequence, these industries were facing a Labour and Skills shortage as the economy grew. Technological University Dublin (TU Dublin) worked with Representatives Bodies and a selection of Employers across these Industries to form the Logistics Associate Apprenticeship (LAA) Consortium. This Consortium is a volunteer group, working collaboratively to address the skills shortage within these industries. With first-hand knowledge of the needs of the industry and desired skillsets for Apprentices, the Consortium worked with TU Dublin to produce a 2 year programme with workplace employment throughout. 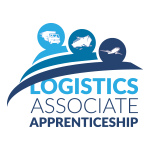 With a board exposure to all facets of the Freight, Logistics, Shipping and Distribution industries, the LAA provides a solid foundation for Apprentices to begin their careers and choose their own direction at the end of the Apprenticeship, with a Level 6 Award on the National Framework of Qualifications behind them.